If you use a computer you have Charles Babbage to thank. His work in the mid 1800's led to the evolution of the box you're staring at right now. We submit to you Charles Babbage, a great man you've never heard of, the father of the computer. Computers are everywhere. While Alan Turing was one of the forefathers of modern computing, the history of computers goes back hundreds of years. The original computers were people who, basically, computed long mathematical equations. 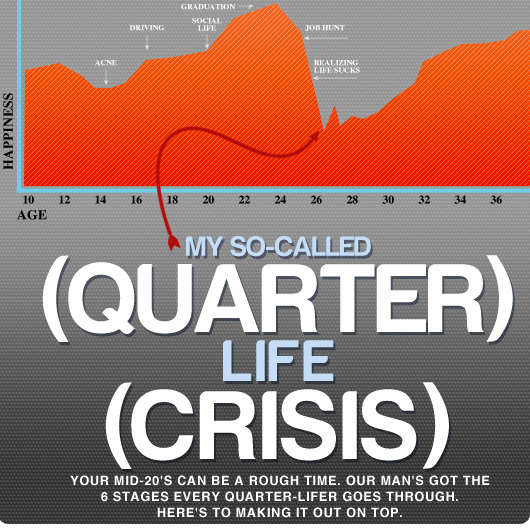 This not only took a long time and since people are prone to making errors, many were made. In the early 1800s, one gentleman thought that if he could make a machine to do the math, it would be quicker and without all of the errors. He spent the rest of his life designing and building these ‘engines'. If you have any knowledge of computer history, then you have probably come across his name, but for the uninitiated, I present to you the ‘father of the computer', Charles Babbage. Born December 26, 1791 to Benjamin Babbage and Betsy Plumleigh Teape in London. His father was a partner at a bank, and as such his family had money. This allowed Babbage to receive a varied education. He attended many schools, but it was in Holmwood Academy that he discovered his love for mathematics. He was accepted to Cambridge in 1810 and received his degree in 1814. On July 25, 1814, Babbage married Georgina Whitmore at St. Michael's Church. They had 8 children, but sadly only three survived to adulthood. In 1822 in a letter to Sir Humphry Davy, a scientist and inventor, he first discussed his principles for a calculating engine. These machines were among the first mechanical computers, although they were largely uncompleted due to various issues. Even though Babbage's engines were mechanical, they have a lot in common with a modern computer. The data and program memory were separated, operation was instruction based, the control unit could make conditional jumps and the machine had a separate I/O unit. 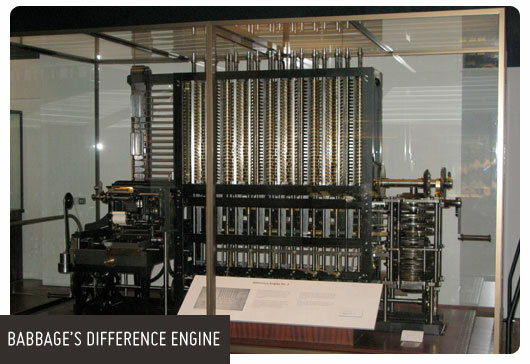 Babbage's difference engine began design in 1822. Unlike other efforts of the time, the difference engine was designed to calculate a series of values automatically. This engine was designed to compute polynomial functions, i.e. f(x)=4x3+3x2-8, and since it used a process called finite differences, (if you can explain that to me leave a comment), which means that it does not need to use multiplication or division. The difference engine would have been composed of 25,000 pieces, stood 8 feet high, and weighed in at 15 tons. Sadly, the difference engine was never completed. After his attempts to construct his difference engine failed, Babbage set to work designing a new engine, the analytical engine. The analytical engine was much more complex than the difference engine. The main difference between the two engines, was that the analytical engine could be programed with punch cards. It could also use loops of punch cards in order to compute using previous computations. Ada Lovelace, an impressive mathematician that deserves her own story, was one of the few people who fully understood Babbage's ideas and subsequently created a program for the analytical engine. It calculated a sequence of Bernoulli numbers. These are a sequence of rational numbers that are deeply connected to number theory. The analytical engine was not a single physical machine, but a succession of designs that he tinkered with until he died. Charles Babbage passed away on October 18, 1871, at the age of 79. He is buried in London's Kensal Green Cemetery. Half of Babbage's brain is preserved at the Hunterian Museum in the Royal College of Surgeons in London. Pretty interesting guy with some pretty interesting ideas, but our story isn't over yet. Fast forward over 100 years to 1991. The London Science Museum used Babbage' designs for his difference engine No. 2, which he designed after his first difference engine, and using 19th century manufacturing techniques to construct an actual working difference engine. It preformed it's first calculation at the London Science Museum and returned results up to 31 digits long. That is monstrously impressive considering that it was designed in the 1800s. So the next time you are at the pub, in the cafeteria, or even by yourself, call for some quiet, and raise a glass of your preferred beverage to Charles Babbage, the father of the computer. Huh? Who hasn’t heard of Babbage? Finite answers mean limited certain answers. Basically its the opposite of infinite. When solving equation and such in mathematical terms finite means a certain number of answers to certain problems in math.